Having had a catch dropped early in his spell, Anwar Ali was animated when he seamed a ball through the defences of New Zealand's best batsman. 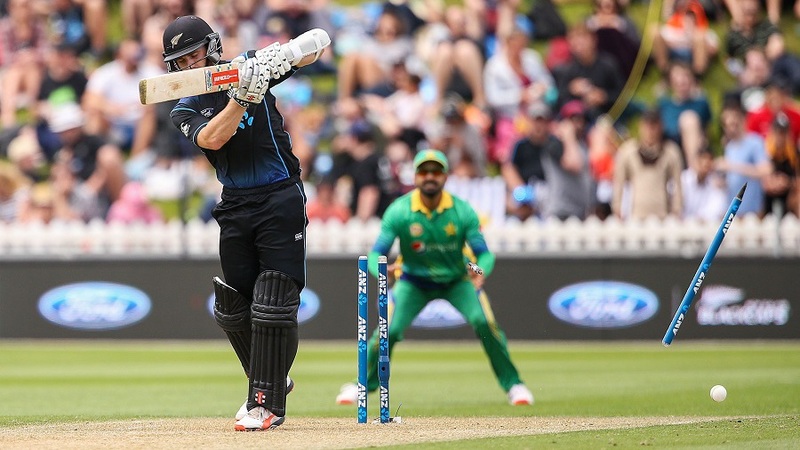 He ran at the dismissed Kane Williamson in a state of rapture, pumping fists and yelling. Many batsmen would have taken issue with this, maybe venturing their own comment in the bowler's direction. Williamson, though, waltzed on completely unaffected, a content, faraway look on his face, like he was observing ducks paddling in the distance. Mohammad Irfan is not in the side for his fielding, but Sarfraz Ahmed clearly expected a better throw from fine leg in the 19th over of New Zealand's innings. Irfan had come forward to field the ball smartly enough, but when he attempted to let fly about 40 metres from the stumps, he held on to the ball too long and sent a skidding, wayward return instead. Sarfraz had to dash to his left and bend low to tidy up, and when he looked up to give Irfan a spray, the fielder had already turned his back to walk to his position. Sarfraz stared Irfan down until he was looking in his direction again, and raised his gloves in mock appreciation. Plenty of high-quality top order batsmen would not attempt over-the-shoulder scoops, but the shot is not beyond the bravery or the skill of New Zealand's No.10. Mitchell McClenaghan spat on the long and storied history of tail-end incompetence when in the 47th over, he set himself low to the ground, and perfectly deflected a full Anwar Ali delivery over short fine leg for four. Two overs later he executed the stroke beautifully for a second time, this time taking the ball at about thigh-height from a rattled bowler. Halfway through the 36th over of Pakistan's innings, non-striker Sarfraz Ahmed made a dash towards the other end, before being sent back by his partner. In his haste to turn back, Sarfraz managed to fall over on his behind, and worse, lost hold of his bat. With short third man having gathered the ball now, Sarfraz flung himself to his feet and sprinted back towards his crease. The throw hit him as he made his ground, and though some New Zealand players thought he had intentionally changed his line to block the return, replays showed he had simply ended up on the other side of the pitch thanks to his having fallen over.